Tensions and conflicts over access to water continue to rise, as the world’s water resources and ecosystems deteriorate, and the threat of water scarcity spreads. It is welcome news, then, that on World Toilet Day, 19 November, the Foreign Affairs Council of the European Union adopted Conclusions on Water Diplomacy, strengthening European commitment to the use of diplomacy in resolving conflicts over shared water resources for the sake of cooperation, regional stability and peace. The Council acknowledged in 2013 that water had become a foreign policy issue. These conclusions are now expanded to encompass the rising tensions over access to water and increasing threat of water scarcity, and the need for climate diplomacy to include water diplomacy. In its 2017 report, ‘Uncharted Waters’, The World Bank suggested the future would be “thirsty and uncertain,” pointing out that already more than 60% of humanity live in areas of water stress, where available supplies cannot sustainably meet demand. It is critical that the Council recognises the role water can play in international peace and security. These updated Conclusions acknowledge the global shifts in water diplomacy since 2013. First among these is the inclusion of access to safe water, as well as decent sanitation and hygiene, as a UN Sustainable Development Goal, which forms part of the Agenda 2030 adopted in 2015. Water also plays a key role in climate change mitigation, so these conclusions build on the Paris Agreement. Water diplomacy prevents and resolves transnational conflicts – but just as important, it must consider how to improve peoples’ lives on the ground. 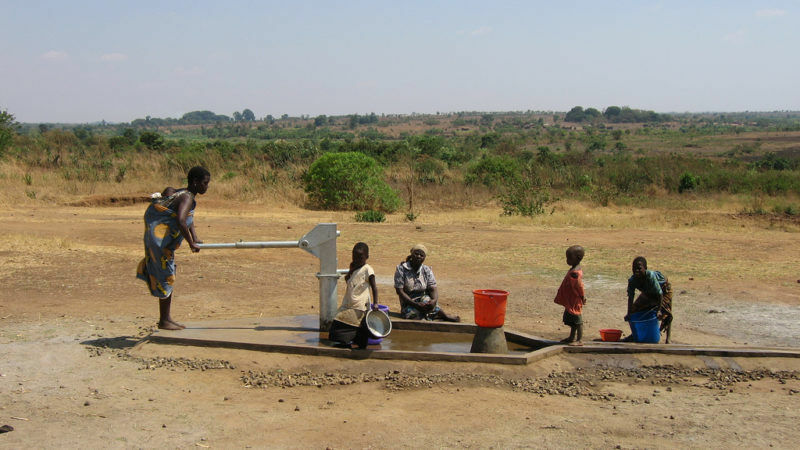 Water security is reliable access to water, in sufficient quantity and quality. Where this is under threat,WaterAid advocates for communities to be empowered to determine how water is allocated so that safe water is available for basic household needs, such as drinking, cooking, sanitation and hygiene. Given the growing threats to water supply it is vital that we build the necessary systems for community engagement now, rather than wait for a crisis. It is also in this context that we welcome the reference to gender in the Council Conclusions. Women and girls are disproportionately affected by the lack of access to water, sanitation and hygiene, with greater risks to their health and safety, and greater demands on their time and educational opportunity posed by the drudgery of fetching water. When water is in short supply with many competing demands, it is critical that women can participate equally in decision-making around water resource management. Safeguarding the human rights to water and sanitation requires embedding them into water diplomacy. It is not by coincidence the Council adopted these conclusions on World Toilet Day: clean water cannot be assured without decent sanitation, and decent sanitation and hygiene require clean water. Protecting, respecting and promoting access to those rights contributes to overall development, progress and more peaceful societies. As the Conclusions suggest, the EU has a unique opportunity in the coming months to embed its commitments and this new prioritisation on water into its policies and programmes, as part of its commitment to the UN Sustainable Development Goals to ensure everyone everywhere has access to safe water, sanitation and hygiene.